This app chronicles the life of George, a character who is made of Legos. 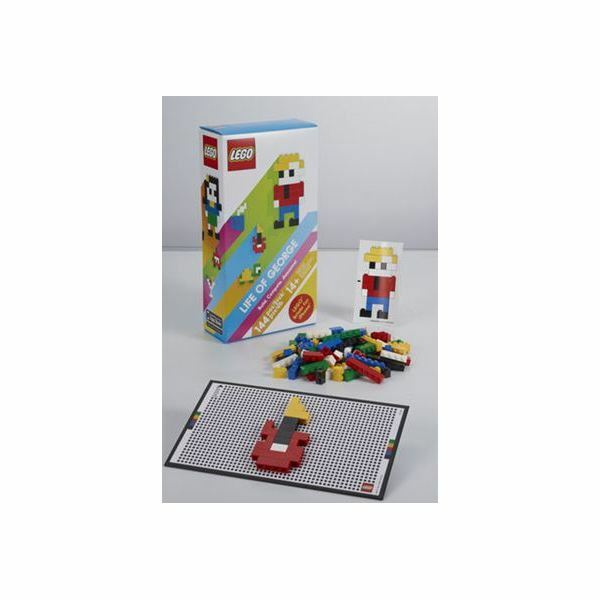 It combines Lego building with your iPhone. 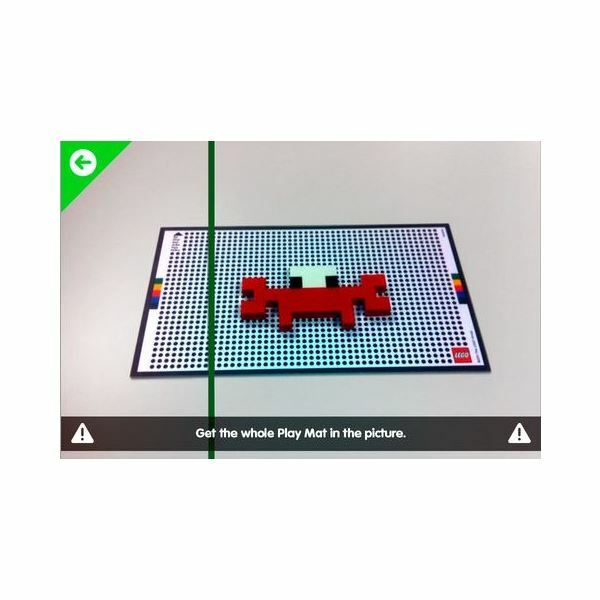 The premise of this app is to challenge users to build structures with Lego bricks based on pictures in George's photo album. The building kit costs $29.99 and the app that goes along with it is free. The kit comes with 144 two dimensional Legos in assorted colors and shapes. There are not any little figures like in a regular box of Legos, just simple long and short bricks that fit nicely on the game board. Now let's take a look at the features. 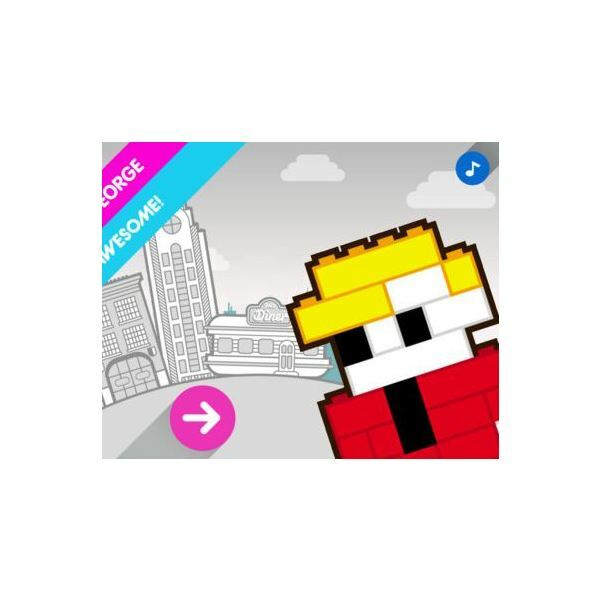 When launching this app you can do three things, start playing immediately, discover what the life of George is or find out where you can purchase the building kit. If you already have your kit and are ready to start building you will have two play modes to choose from: Game Mode and Creation Mode. Game Mode is where you will find George's photo album. It will take you through different locations that George has been to such as New York City and Hawaii. Creation Mode is where you can create any model you wish and save it in your own photo album. The object of this game is to build various models as fast as you can based on the location in George's photo album. 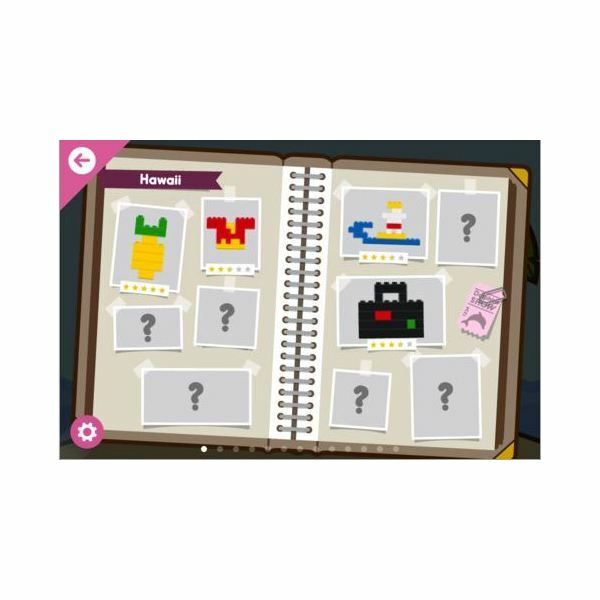 Users are prompted to build items such as a guitar, pineapple, George's clothing or any other item that you see in George's travels. The game board is for users to place their models on so the app can recognize the structure. Think of the mat like a green screen. Once your model is completed you place it on the game board and take a photo of it. You need to be careful and make sure it is within the frame so the app can give you credit for your structure. Once you have captured your model on the game board then it is ready to be scored based on how fast and accurate you were. For those of you who like competition they have even added a two player component but this is only for the Game Mode not the Creation Mode. This feature is what you would call pass and play because you can't virtually connect and play against your opponent, you have to be sitting next to the person. I had a lot of fun playing this game with my son, but there are a few hangups I have with "LEGO Life of George." First, you can only create 2 dimensional structures. If you were looking to create 3D models you will be disappointed. Second, it only comes with 144 Lego bricks, the colors are mundane and the shapes are limited to slender. Third, if you planned on taking it to Grandma's house be prepared to carry the whole box. There is not a pouch for the bricks nor is there a carry on bag for the game board. Lastly, given the hefty price tag of $29.99 it seems a little bit too high for only 144 bricks with no carry on bag. Also, the age rating is set for 14+ which I couldn't understand because my 5-year-old son is perfectly capable of constructing models and using my iPhone. Then I learned this rating is because you can share your models on Facebook which is the reason for the high age range. This interactive game is the most original app I have ever come across. The graphics are enjoyable, the functionality is excellent and its features are unique and entertaining. There are a lot of models that you can build and there are 12 levels to go through. So I would say it makes for an entertaining, featured packed app. Although I do feel that the price of $29.99 is a bit steep, I would recommend buying the LEGO Life of George iPhone app and building kit. At least the app is free which is makes it a winner in my eyes. You can purchase the building kit beginning October 1, 2011 for $29.99 and download the free compatible app from iTunes. This hands-on interactive game is a fantastic Holiday gift, go out and get it before it's too late. Do you have a comment or question? If so, we would love to hear from you. Give it a try and let us know what you think in the comment section below.